Beijing is running out of U.S. imports to tax but it has other ways to make things ugly. American carmakers depend on an uninterrupted flow of imported parts, and China is the No. 2 supplier. Any attempt to disrupt component shipments could throttle the likes of Ford and GM. 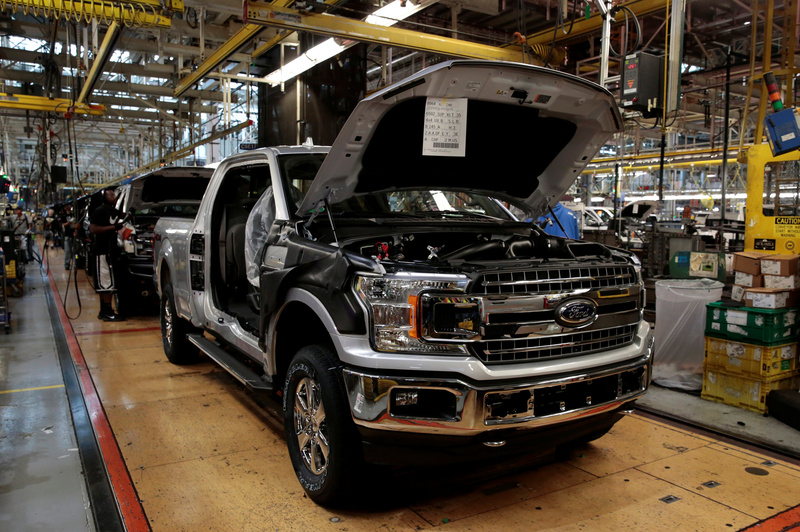 2018 F150 pick-up trucks move down the assembly line during the 100 year celebration of the Ford River Rouge Complex in Dearborn, Michigan U.S. September 27, 2018. U.S. President Donald Trump said on Oct. 1 that it’s “too soon” to talk to China about trade issues, though he added that China “wants to talk very badly.” He made his remarks at a news conference hailing the renegotiated North American Free Trade Agreement, which has been renamed the United States-Mexico-Canada Agreement. The Trump administration has imposed tariffs on about $250 billion in Chinese products, or about half of all imports from the country. China has responded by imposing import duties on $110 billion in U.S. goods, about 85 percent of what it buys from America. In 2017, U.S. businesses imported nearly $18 billion worth of auto parts from China, making it the second-largest source of such goods behind Mexico, according to the U.S. International Trade Administration.